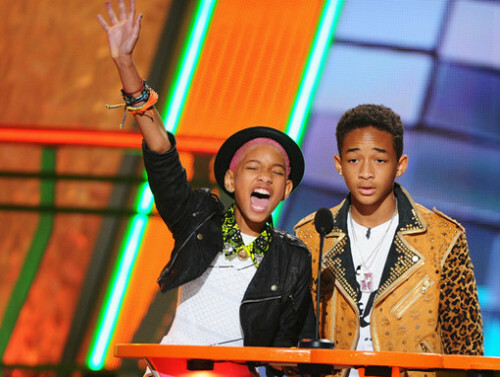 Jaden & Willow at KCAs 2012. . Wallpaper and background images in the Jaden Smith club tagged: jaden smith 2012. This Jaden Smith photo might contain zeichen, plakat, text, tafel, schilder, and poster. he was soo... cute in this picture!! !